Chef Jeffrey Saad started his career in a Chicago diner at the age of 13, and today shares his love of food with millions. 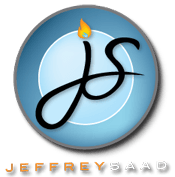 As aCooking Channel host and cookbook author of “Jeffrey Saad’s Global Kitchen: Recipes Without Borders”, Saad is an expert on global cuisines. But he doesn’t go anywhere without what he calls his 12 little sous-chefs: eggs. Saad’s cookbook explores dishes from around the world and features an entire chapter dedicated to the convenience, versatility and affordability of eggs. If you missed Saad’s appearance at Maya Del Sol on Saturday, here is some of what he told me about his own culinary journey. Please tell me about how your story began. Your first job was in a Chicago diner at age 13? Tell me more. “I was too skinny for the football team and the spice rack I built in shop class for my mom didn’t turn out so hot, so I transferred from shop class to home ec! Right behind my junior high-school was a diner called The Picadilly. I walked in and said I was looking to learn how to cook. I got a work permit and he said congratulations and put me in the dish room! Welcome to the restaurant biz! When did you know you wanted to work with food? “From that first experience in the diner, I decided I would open a restaurant and be a chef. In addition, my mother cooked almost every night, so I was exposed to lots of different foods. I remember seeing chopped bacon on the counter and I would guess “we’re having spinach salad tonight.” I was learning to ‘mind-taste’ from that early age. When she wasn’t cooking we were going out to nice restaurants, so I thought it was standard to be eating shrimp cocktails (I still remember the incredible sensation of the tart/spicy sauce and the snap of the sweet salt shrimp!) snails, lobster, and all kinds of goodies. How did you come to be host of the Cooking Channel? What are some good memories of that time? Your experience is with global cuisine. Have you found anything that we all share regarding cooking and food? You won’t go anywhere without your 12 little sous-chefs: eggs. Why? If someone were visiting Chicago, what would you suggest they try, (in addition to the hot dogs and pizza)? Would you share a story about your travels learning about global cuisine? “It was 5:30 in the AM, and I had just flown from LA to Hong Kong. I walked into a dim sum restaurant that was packed as if it was 8:00 at night. Huge round tables with people sitting shoulder to shoulder. We squeezed our way in (no host and no English) and figured out how to grab what we wanted off of the passing carts. I had chicken feet, fish heads and the most delicious array of dim sum all before 7:00 AM! I went into the kitchen (a 10×10 room), filled with steam baskets from floor to ceiling being fired by some type of powerful steamer unit below. Delicious, beautiful. Most challenging part of what you do? What is the best part of what you do?